The Airbus A310 was the second aircraft that Airbus released. Between 1983 and 1998 Airbus delivered 255 of these long to medium haul wide body aircraft. The Airbus A310 was the second aircraft that Airbus released. The A310 fist flew in 1982 and the first aircraft was delivered to Swissair in 1983. This popular aircraft spawned several variants including several different cargo variants. 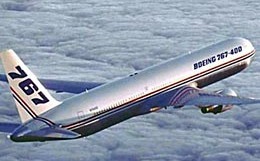 During its production years between 1983 and 1998 Airbus delivered 255 of these long to medium haul wide body aircraft. Production on the Airbus A310 started in 1978 and ended in 1998. The Airbus A310 is essentially a shortened version of the A300 with a few structural and aerodynamic improvements. The cabin seats either 195 in a 2 class configuration, or 245 in a one class configuration. 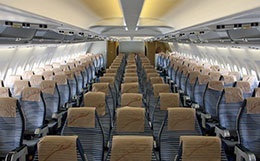 The economy section cabin seating arrangement is 8 abreast, while first and business classes seat 6 abreast. The A310 has a total of 5 lavatories on board, as well as 4 galleys for food preparation. 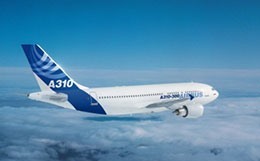 The Airbus A310's performance is competitive with that of the Boeing 757, and 767 aircraft. It has a maximum service ceiling altitude of 41,000, and a maximum cruise speed of 528 miles per hour. The Airbus A310 can perform transcontinental and transatlantic flights depending on the variant with the A310-200 having a maximum range of 3,670 miles, and the A310-300 having a range of 5,200 miles. For more information about chartering, leasing or buying a Airbus A310 please contact us by calling +44-20-3874-8091 or send us an email here.